Please allow 48 hours notice when calling for prescription refills. From the 401: Drive south on Avenue Road, around Queen’s Park (Avenue Road becomes	University Avenue south of the Provincial Legislature). 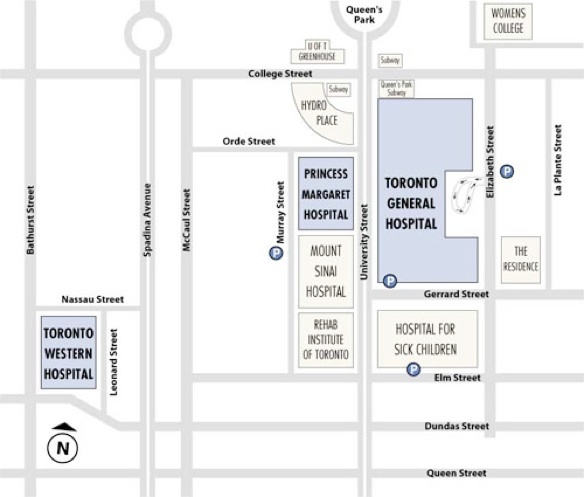 Toronto General Hospital is located just south of College Street. From the Gardiner Expressway: Take the Gardiner Expressway, exit on York Street and travel north bound. York Street turns into University Avenue. 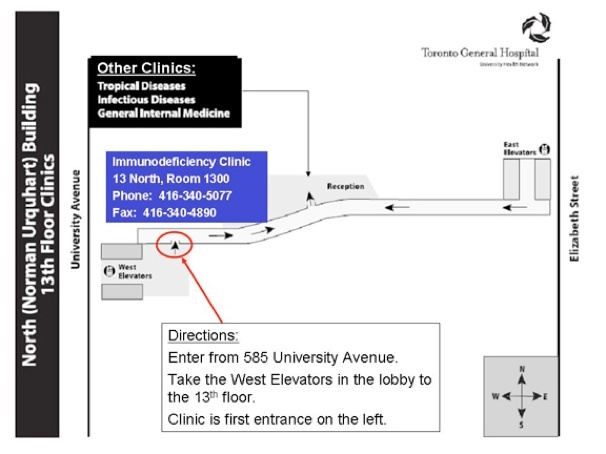 Toronto General Hospital is located just north of Gerrard Street. Elizabeth Street: $4.00 each 1/2 hour or less to a maximum of $19.00 to 7 a.m. when it starts again at $4.00 each 1/2 hour or less. 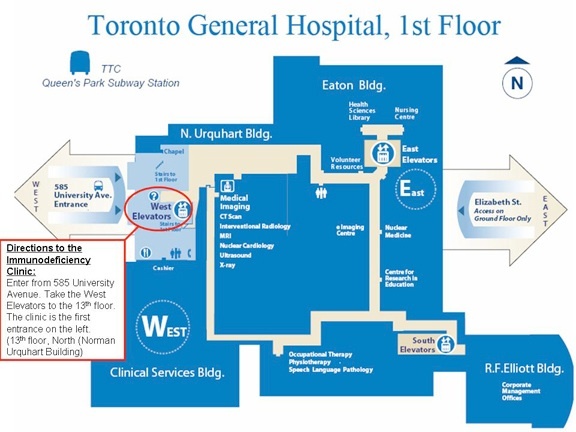 Note: The first two floors of the Elizabeth Street parkade are reserved for patients. 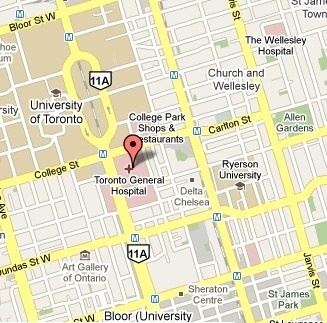 Subway: The closest subway station is Queen’s Park, on the University line. Exit on	University Avenue south-east side and walk to the University Avenue entrance on your left about three minutes or one block from the subway. From College subway station (on the Yonge Line) take the streetcar Westbound to Elizabeth Street (about four	minutes); walk south, about three minutes. Streetcar: For the Elizabeth Street entrance, exit the College Streetcar at Elizabeth Street and walk south one block on the right (West) side of the street, about three minutes. For the University Avenue entrance, exit the College Streetcar at University Avenue and walk south about three minutes.